All of the rows on either side of me faded to nothing. And all sounds completely dissipated. All that I could hear was the sound of the spray trickling onto the water. Time slowed down and it was just me and the dive. Matthew Mitcham, with his back to the water atop the 10-meter platform, exhaled, and lept into the void. The Australian then executed a two and a half somersault with two and a half twists in the pike position, and nailed it. Liang Huo of China, who was in first up to the last dive, climbed the platform to execute the same dive, and was unable to deliver the precision of Mitcham. Huo fell to fourth, and Mitcham, to his wonder and surprise, took the gold medal. 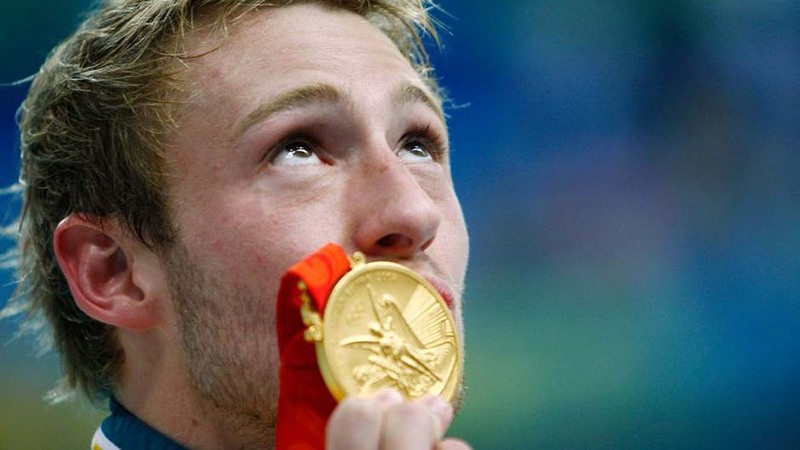 In fact, at these 2008 Beijing Olympics, Mitcham was the only non-Chinese to win gold in the 8 men’s and women’s diving competitions. Mitcham won because he was able to execute a dive of the highest difficulty at the time. FINA judges rated Mitcham’s and Huo’s attempt at 3.8 degree of difficulty (D.D.). But as is true in sports that employ D.D. in their judging, like figure skating or aerial skiing, the bar will continue to rise. At the Beijing Olympics, you had to have a D.D. of well over 3. Today, it needs to be over 4.0. In fact, FINA has identified 13 dives that have a difficulty of over 4, compared to over 10 years ago when it was only 2. So where are divers and coaches getting insight into new ways to twist and tumble to greater dives? That’s right – mathematicians. My doctoral thesis focused on optimal shape change control and achieved three primary goals: using the geometric phase to improve planar somersault performance, developing the mathematical framework to describe the twisting somersault, and innovating new dive sequences yet to be performed by real world athletes. No, I can’t quite fathom that either. So the Technology Review article dumbs it down for us by explaining that Tong and Dullin have created a mathematical model for how a human body twists and turns in the air, with the expectation that they can propose new sequence of movements to increase the speed of these movements. Increasing speed is essential for the simple reason that the law of physics limits the time one can stay in the air after leaping off a ten-meter platform or a three-meter springboard – 1.43 seconds in a freefall to be precise. The diver can currently increase that to 1.6 seconds with his body movement. Posted in Diving, Others, Technology, Water Sports. Bookmark the permalink.